No matter how careful I am, eventually I'll make another misstep. I am weak. I am fragile. I am mortal. I hate that most of all. I finished The Cruel Prince by Holly Black last night and oh my, I have a whole lot of feelings to work through. It is also worth mentioning that there are definitely trigger warnings in this book, it deals heavily with violence (in many forms) and may be YA, but this is definitely something to keep in mind when reading/recommending. Firstly, lets talk about the ending. The ending has absolutely left me shook and desperately googling ways to see if I can get the next book. The final twist, surprisingly not by The Cruel Prince himself, left me feeling betrayed, and yet incredibly satisfied by the direction Black chose to take the book in. Seriously, can I get The Wicked King now please? I definitely got more swept away with this book the more I got into the story, but even with that said, the first half(ish) of the book definitely had enough to keep me turning those pages and I devoured the whole thing pretty quickly (I have a full time job y'all). 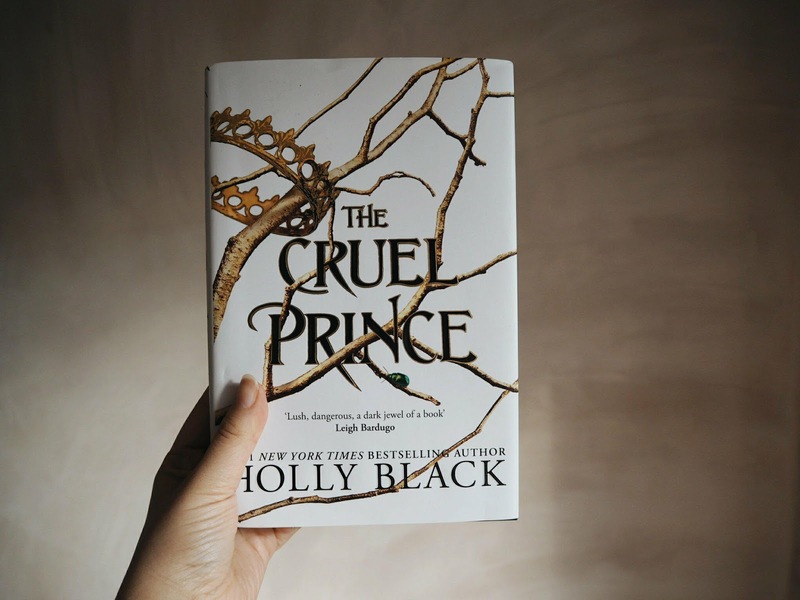 The Cruel Prince is definitely not perfect, I do think that the story line with Jude/Taryn/Locke jars for me, the relationship with the sisters needed to be developed a bit more, and I found the fact that they duelled over a boy rather frustrating. But here's hoping that this gets explored more in The Wicked King because I am more than happy to be wrong! The world created is terrifyingly beautiful, and every character really buys into this theme as well, as Black never really affords us the luxury of trust as things start to unravel. There are definitely familiarities about the world presented, but to be honest, that is exactly why I picked up the book in the first place, it is the characters that really make this a stand out YA fantasy novel.